All the news that's to be had here can literally be gleaned from the headline. But since I went to the trouble of writing it, why don't I share some more info? Hollywood.com was in attendance last night at the "Dinner for Schmucks" premiere red carpet, and they landed a little bit of time with Bruce Greenwood, who appears in J.J. Abrams' "Star Trek" as Christopher Pike. He said that he knows the "plan" is to shoot in January, though he also admits that he's not certain he's in the coming sequel. That could also just be some misdirection of course, but it's good to at least know that there's a tentative start date set for this highly anticipated production. With the release of Super 8 this Friday and the fact that I've been re-watching Lost all weekend, I hereby dub this week J.J. Abrams week. As such, it's only fitting that we take some time to discuss what's next for the new king of sci-fi. He dropped few little nuggets of information about the highly-anticipated Star Trek sequel that he doesn't have a contract to direct, but it's his baby, so he totally will eventually. Obviously, we need to talk about this. After enduring the sad news that Star Trek 2 would be pushed back to summer 2012 and then again to Christmas 2012, we can at least take solace in the fact that J.J.'s got a plan and he's got our best interest in mind. 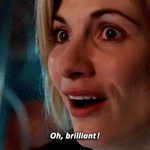 Over the weekend, he attended a Super 8 press junket and sent out a few words to calm our fears about waiting any longer for a movie we've wanted to see since the credits rolled on the first Abrams Star Trek. I care much more that it be good than it be ready. I'm, obviously doing everything I can to make sure that schedules don't get screwed up. But I don't think anyone wants a movie on time that's not worth your time...We want to make sure it's done right. The guys I've been working with are obviously brilliant so I'm really excited to get back into it. So this is something I've been working on pretty closely, so in part they're like, fine we'll meet you to discuss. He may not hold a contract to direct yet, but this is Abrams' movie and from the looks of things he's ready to get cracking, but as usual, he wants it to be perfect. (Besides, Paramount would have to somehow lose its collective mind not to get that signature on paper for the Star Trek sequel.) It makes sense, and obviously, if J.J.'s not happy, we won't be happy, so we should just stop our whining and let the man work his magic even though it pains us to hear that we may have to a wait a millisecond longer that we were originally promised. According to Roberto Orci, one of the masterminds behind the Star Trek and Star Trek 2 stories, Abrams has been trying to give input on the sequel's script as he's been "up to his eyeballs in Super 8," so perhaps once the film finally hits theaters at the end of the week, J.J. can take that fierce perfectionism and put it to work on Star Trek 2. Pretty please with sugar on top? Seriously, this wait is just getting ridiculous at this point. If Trek 2 (not II as in TWOK) is pushed back for Christmas '12, what does that mean for Bond 23? Would it be delayed as well? "Star Trek" is likely to appeal to a wide audience including die hard Trekkies and those new to the Star Trek universe. This is a must see film, even if you can't tell the difference between a Tribble and a Tholian! Favorite Bond Movie: I can watch any movie of James bond at an time..
FormerBondFan wrote: Anyone seen this? It's more exciting than the turd that J.J. Abrams came up with. I have given up trying to explain this.....I will see Abrams Trek 2 if only because I am so used to going. I'll be seeing it too anyway, I'm stubborn like that. I wish it were handled by people who understood Trek. Like Ron Moore, he has enough passion and can deliver an intelligent flick. Does Benedict look like Khan to you guys in these pictures? The news said that Benedict is Khan (if it is true), but from the looks of these, he is not the infamous character played by Ricardo as well as not looking tanned enough to be Indian. He looks more like a rogue Starfleet officer helping out the enemy of the Federation. That's Khan? He belongs in One Flew Over The Cuckoo's Nest from those pictures. He is Kirk's nemesis, not Spock's. bjmdds wrote: That's Khan? He belongs in One Flew Over The Cuckoo's Nest from those pictures. He is Kirk's nemesis, not Spock's. 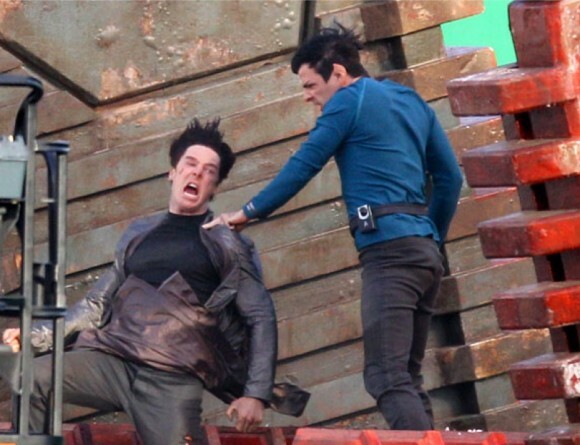 From the looks of those pictures, is it possible Khan will not be a villain? FormerBondFan wrote: From the looks of those pictures, is it possible Khan will not be a villain? 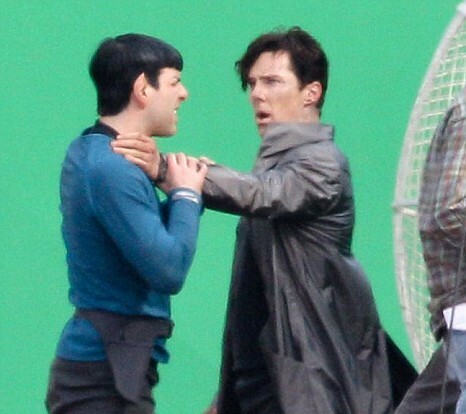 Has it been officially announced that Cumberbatch is playing Khan yet? The report that supposedly confirms it appears to be from a fansite. Good news: Khan is not the villain in 2. Good thing Simon denied that Ben is Khan. Therefore, Trek 2 returns to my list of top to see. I had a chat with a fellow Trek fan tonight, and he said he's assuming that the sequel's villain could be Khan's son. FormerBondFan wrote: I had a chat with a fellow Trek fan tonight, and he said he's assuming that the sequel's villain could be Khan's son. I don't know guess there will be some suspense after all.